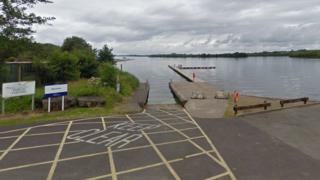 The search for man missing on Lough Erne has been stood down for the night. Police, the RNLI and a helicopter from the Irish Coastguard were involved in the search. The RNLI said they were called to the Muckross area following reports of a person in the water after an incident involving a jet ski at 17:30 BST on Sunday. One man was rescued from the water by a boat already in the area and the search began for a second man. Police and other emergency services are to resume searches on Monday morning. The Royal National Lifeboat Institution (RNLI) had two boats involved in the search. In a statement, they said: "Enniskillen and Carrybridge RNLI's inshore lifeboats and Rescue Water Craft were requested to launch following reports of a person in the water, off a jet ski in the Muckross area. Enniskillen RNLI was already on Lower Lough Erne having responded to a separate call out. "Once on scene, the RNLI observed that one person who had swam towards the shore had been rescued by a boat that was in the area."